Books should be discussed, not simply digested. This beautiful PDF is designed for groups of all kinds. 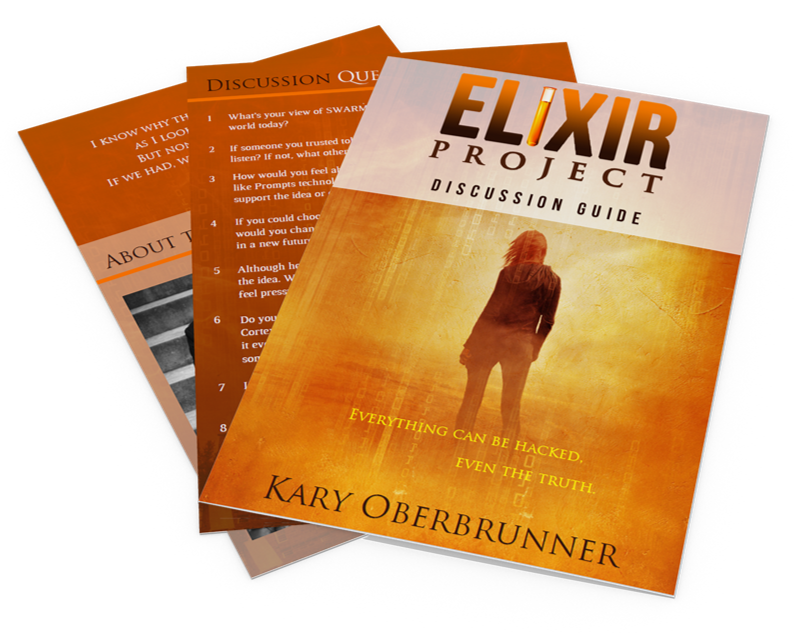 Through 15 carefully crafted questions, readers of all ages will enjoy taking a deeper dive into Elixir content. These open-ended questions will stimulate compelling conversations surrounding a future world that's nearer than you might imagine.